In Rossini’s serious and semiserious repertoire, the “external world” enters in the characters places towards the framing imposed by vestibule’s arches and by French-windows in ground-floor rooms, delimiting woods (Matilde di Shabran), city’s pitoresque sides, or home’s secluded corners (Bianca e Falliero), streets and courts (Gazza Ladra). Beyond porches, halls, atriums, cloisters described by Felice Romani’s in Bellini’s operas librettos it appears a strong number of backgrounds: cities, (Agrigento in Bianca e Fernando),1 natural elements and building sides, (the drawbridge and the waterfall in Il Pirata,2), the lake and the cloistre in La Straniera,3 the private apartaments in Capuleti e Montecchi. They all underline the contrast between the nature and the human presence. In I Puritani, composed by Bellini with Carlo Pepoli as librettist, the attention payed towards the outside world is stressed in every scene, with the insistent presence of the windows, towards which the landascape can be seen and the outside sounds can be heard. For example: the Puritains preying, Arturo’s arrival, announced by chorus and by the band hided among the wings (II scene). In the two following sets, windows frame the camp and the fortifications (I and II act); in the last scene (III act), Elvira appears beyond the porche glass-window. In some librettos used by Donizetti too, doors and windows delimited the part of world to show: the inner gardens, city’s vew (London in Roberto Devereux)4, others buildings (Maria di Rohan,5 Gemma di Vergy), the road (Linda di Chamounix),6 wild places (Lucia di Lammermoor). 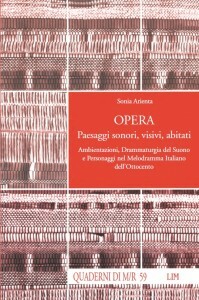 The interpretation and the reading of the world in italian XIX Century’s peninsula, is based also on the backgrounds descriptions in set captions of the operas, products of a cultural mass genre in that age. Thus, from some apparently incidental details we can understand the urban and rural landascape perception, the role awarded to water places (sea, lakes, rivers), or to vegetables world in that imaginary. The action pressed in domestic walls perimeter without description of the landscape beyond the windows, is a characteristic which can be particularly discoverable in italian XIX Century “opera buffa”. At dramaturgic level, the interest toward the forestage “hinc et nunc” predominates, because there fights, debates, reconciliations inside the house’s and family’s borders are set. The landscape’s presence would shift and lead the spectator attention outside, a position in this case, incidental for the plot and the problems posed and proposed by it. Still, at conceptual level, this choice makes jet more sensational the perception of acoustic stratification, of the “full” and “void” concerning singers and instrumentalists presences created in the full score. We can think to Rossini’s “crescendo”, by which the composer fills the set devoid of field of view depth, delimited by walls and ceiling, without outlets, so that the sound resonates and thunders. Thus the room saturates until to “explosion”. Seville is out of view beside the windows of Bartolo’s house in Rossini’s Il Barbiere di Siviglia, in the set captions of La Cenerentola, landscape visible from the windows is omitted. The same situation is discoverable in Donizetti’s opera comica librettos. Vice versa, in tragic repertoire, the details lack in backstage, underline a constrictive space, a cage-space. The claustrophobic world where the Ashton family live sealed, in Donizetti’s Lucia di Lammermoor is opposed to wild, stürmisch dimension, used in the scene where Edgard acts (excepted the Finale II, when he becomes the disagreeable host in his enemies salon). From Violetta’s living room and bedroom windows, just like in Flora Gallery’s, the description of landscape is excluded, Paris views are absent. The city is evoked only in the dialogues. Dying Violetta wants to see the day light and she orders Annina to open the windows (“Da’ accesso a un po’ di luce”), therefore her last life mouthfuls, with the Carnival sounds, invading her bedroom silence. Similarly, Philip II private room in Verdi’s Don Carlos received the rising light of the dawn, but does not offer suggestions concerning landscape. Arrigo Boito, in set captions of Verdi’s Otello IV act, “forgets” to describe windows in Desdemona’s bedroom. 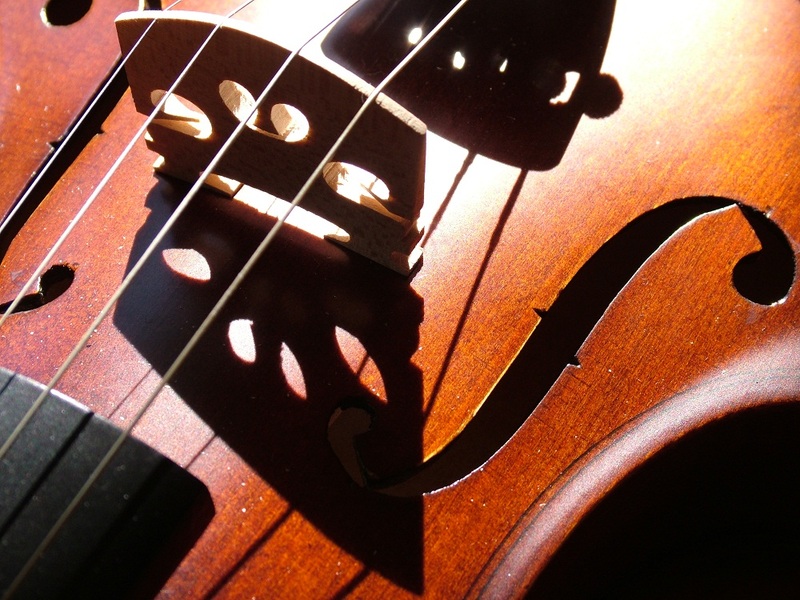 The attention paid towards the visual depth of field that can be found in operas set captions of composers working in Nineteenth Century last portion (like Puccini, Catalani, Mascagni, for example) can’t be considered like a simple and excessive desire of description, expressed by librettists (Giuseppe Illica in particularly). Nor it can be judged an act of pedantry imposed by documentary precision in order to describe or rather transcribe with words and ink on the paper the sets prepared for absolute première performance of each opera. It instead reveals the composers interest towards all strategies enlarging the borders imposed by the architectural structure of theatre with upper-circle boxes (the opera house “all’italiana”), with the adoption of visual and acoustic depth of field opening. Ambientazioni, drammaturgia del suono e personagginel Melodramma italiano dell’Ottocento. The background is an objective element, big screen where the time of the (hi)Story flows, while the foreground focalises the attention towards details, where the individual acts. The background receives the time flux; the foreground describes the instant’s particular aspect, the plot’s development. Backclothes descriptions take allegorical characteristics, they delineate an objective “commentary”, the world nearby the individual intimate, private dimension. In Guillaume Tell first scene, the title role’s home is setted in foreground, nearby the torrent and other village’s houses; in the last scene it appears faraway, enveloped by flames, sign of extreme help’s request transmitted by Gemmy to Swiss countrymen. This house’s recession toward the foreground is a sort of warning concerning the renunciation of individual good in favour of the common one: the sacrifice of Tell’s home permits to free the Country from the tyrant’s arrogance. In opera’s exterior scenes the landscape can include different categories of images, connected to urban or natural space; they also can show or not a wide-ranging view. In interiors scenes, the glimpse over the world is trimmed by doors, windows, arcades, gates which select panorama’s elements if they are included. In locations outlined by set captions, the degree of permeability between background and foreground, shaped by a number much or less elevated of architectural barriers, fix the opening or closure degree of the field of vision and the extension of exchange between the individual and the world. In fact visual backgrounds usually disappear from set captions when the operist desires a claustrophobical atmosphere. The royal palace in Rossini’s Elisabetta regina d’Inghilterra (1815) is a microcosm containing rooms with different functions: institutional (the trone room), private (queen’s apartments), punitive (hall nearby a prison, prison). The choice of places and their description reflect a world completely under the souvrain’s control, from which nature and the city landscape are excluded. The libretto captions of Giovanni Schmidt omit architectonic or natural backgrounds. In some examples, unity of place is employed by composer in an elastic way (Semiramide); or completely denied in other ones (Donna del Lago, Guglielmo Tell o Armida). In fact, if in Semiramide the Babylonian royal palace is the most important place in the action, with the most numerous scenes, explored at 360 degrees, from terraces to grave’s basements, on the contrary in La Donna del Lago, we can find wild spaces, subjects houses and the royal palace. In Donizetti’s operatic production we can see a progressive and clear desertion from unity of place use. In Anna Bolena the action starts inside the Westminster palace, but then it moves in the Tower of London. Royal palaces and subjects houses, or other royal properties turn over in Roberto Devereux and Maria Stuarda. In Dom Sébastien Roi du Portugal, the protagonist has a journey from Lisbon to Africa and return. 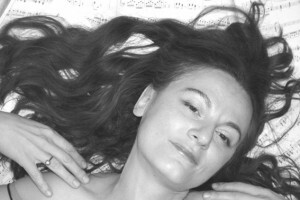 We are sorry, but the column “Collateral Effects“, edited by Sonia Arienta will restart from March 09.2012….